The first delivery of a fully-equipped ambulance helicopter to China was officially celebrated in Beijing by the operator ‟Beijing Red Cross Emergency Center 999″ with a commissioning ceremony. 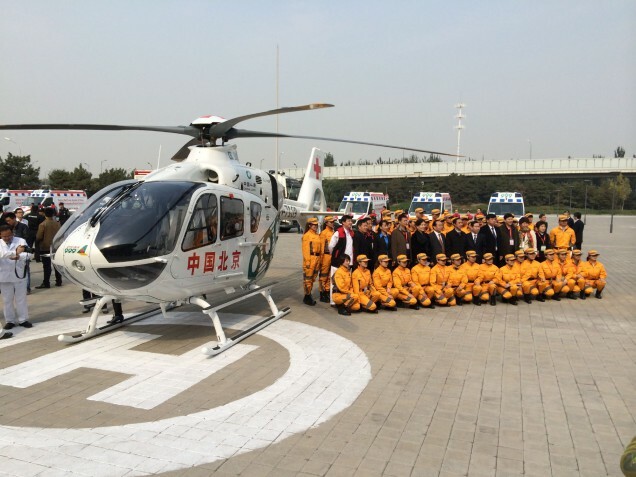 Bucher had the honor of supplying and installing the complete medical equipment system for the twin-engine EC135 and operational approval from the Chinese Aviation Authority (CAAC) was quickly forthcoming. With its flexible AC67 equipment, Bucher is now the only EMS provider with Chinese approval. And the good news is that the delivery of the next EC135 HEMS will be no later than January 2015!